During our dog-friendly vacation in Maryland, I knew I wanted to take Dexter on a boat ride. Dexter LOVES taking boat rides. I think there is something about the gentle rocking of the boat, the breeze in his ears and the scent of the open water that just mesmerizes Dexter. While searching online for a dog-friendly boat cruise, I found Cruises on the Bay℠ by Watermark®. I messaged them about bringing Dexter aboard their boat, and they were very helpful and friendly in our conversations. With over 45 years of experience, this was the Annapolis dog-friendly cruise I wanted to take Dexter aboard. Watermark’s cruises are pet-friendly as long as dogs are friendly and leashed, and the dogs cruise free of charge! The boat also had restrooms and a full bar and cruise mementos. I have to admit, I wanted to purchase a souvenir, but totally forgot. While purchasing our ticket, the nice gentleman was telling me all about his Cavalier King Charles Spaniel. Everyone was very happy to see Dexter and Levi board the cruise ship. Our 40-minute narrated cruise left from the City Dock at 7 pm. 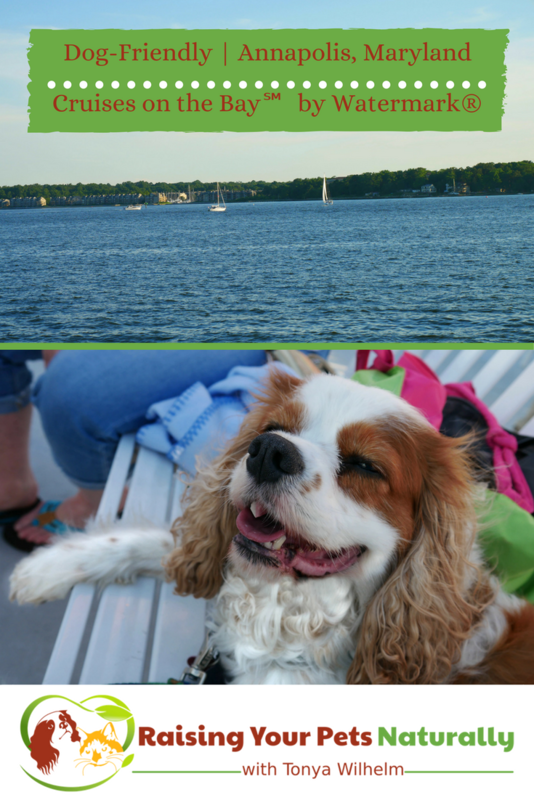 We sat on the upper deck to get the most out of our dog-friendly boat cruise. It was a sunny and warm evening, but the breeze cut down the heat and Dexter and I positioned ourselves in the shade. We learned so much of the area’s history listening to the narration while sightseeing the waterways of the Annapolis Harbor. Seeing the U.S. Navy Academy was a treat, too. Both Dexter and his travel buddy, Levi, enjoyed smelling the fresh air and looking around. Eventually, both dogs were lulled to sleep. Whether you are looking for dog-friendly things to do in Annapolis or want to leave Fido at home, Watermark has the perfect cruise for you! Plan a group trip, field trip, or private charter with their team of specialists. Tell them Dexter sent you. Is your dog adventurous? Tell me in the comments. My hometown does Dog day in the pool. The last day of the season they open the pool to all the dogs that want to come swim. After the day is over they clean the pool and close it down until the following summer. I used to do a little traveling with my dog. That was pre-kids, though. The dog-friendly boat cruise sounds super fun! 🙂 The boat ride was amazing. Very kid-friendly too! Oh this is so sweet! Your dog certainly looks to be having an amazing time on the cruise, what a wonderful idea! Thanks. Dexter really does love boat rides. I think it’s the rocking and breeze and all those good scents. This is great! I’ve never heard of boat trips allowing dogs on before but I think they have just as much right as we do! The dog in the photos looks so happy to be on the boat – very cute! Thanks! Dexter and Levi had a blast on the boat. Dexter really does love his boat rides. 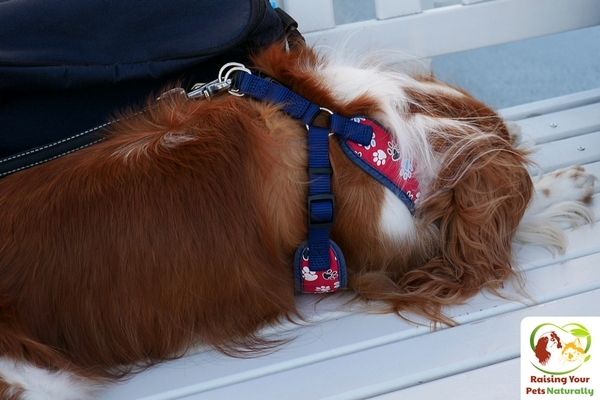 I had no idea there was such a thing as dog friendly cruises, how cool is that?! Glad you shared this, we have two doggies and now we know if we ever want to venture on a cruise, there are options! Thanks, Brandy. Yes, some are dog-friendly. We usually can find one in each port! Dexter loves his boat rides. love this idea my daughter has no children yet but has a special spoiled pup. This little pup goes every where and does everything they would love this idea. That’s fantastic Angie! I sure hope you share with your daughter, I bet she would love this cruise. I love that the cruise was dog-friendly, that is pretty sweet. Most places want your dogs to be service dogs in order to bring them along. This was great. 🙂 I know. It’s funny when I call to ask if Dexter can go, I’m often told: “if he’s a service dog.” I find that so funny because service dogs are always allowed, I wouldn’t need to ask if he was. 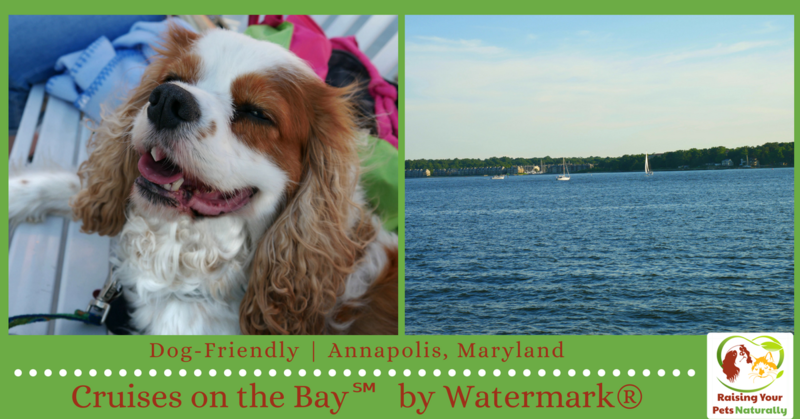 lol I was so happy to find Cruises on the Bay by Watermark was dog-friendly! I am happy to learn of these dog friendly boat rides! My fur child would love this. We have set up a small inflatable pool for him in the backyard so he can cool off when he needs to. Although I am confident he won’t jump into the water during a boat ride, the fresh air would really do him good. Thanks, Chelsea. I love sharing dog-friendly adventures. I bet you have some great things in the UK for dogs! Dogs are my fav animals! They are super adorable and it’s great to see how many cities are having dog-friendly places! I definitely didn’t know about dog cruises tho! 🙂 We always look for a dog-friendly boat cruise when we travel, so much fun! Thanks, Celestial. Just call around. I have to say, every port I’ve been in, I’ve found at least one dog-friendly cruise! OMG! My dogs would be afraid to do boat cruise (I guess lol) and so am I. Best thing is at home only, play with them. Oh, no. Dexter has been adventurous ever since puppyhood 8 years ago. He absolutely loves boat rides. I hadn’t ever heard of a dog friendly cruise before so it’s cool that those actually exist! My dog is a 16 year old lab so I don’t know how well she would do on a cruise but I feel like I’d want to go on it just to pet everyone else’s dogs! 16 might be hard with a dog who hasn’t been before. But, you never know! Thanks. OMG NO! I can’t imagine a neighborhood that doesn’t allow pets. So sorry. So cute he is! Awwwww. I am used to dog-friendly everything because here in Vienna there is almost n place you cannot take your dog with you – except maybe the Opera. Oh, man~ I think Dexter and I need to go to Vienna. New bucket list. Thanks, Whitney. Dogs and boats are my favorite too! This looks like so much fun! I’m always looking for cool places I can take my beagle. Hi, Jen. It was a total blast! Oh, I love beagles! This is literally the cutest thing I have ever seen! I have never heard of such a thing! 🙂 Thanks! He loves to go on boat rides. So funny! Never in a million years would I have thought of taking a dog for a boat ride- but I would now. Sounds like fun. Your dog is beautiful. The trip looks very relaxing. Thank you. It was a very relaxing cruise. Loved the pictures, what a cutie! My dog loves water, but I have never taken him on a boat. Will have to try. He may really enjoy it! Thanks. Yes, they really enjoy having the dogs on their cruise ships. It was a great experience. The pictures are soo cute, and the dog seems so happy and enjoyed the tour! 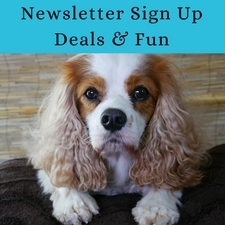 I have read your previous article and its always a success providing options for our pet-lover reader. Thanks, Eliza. It’s nice to have a follower. Dexter loves boat rides and adventures. Annapolis is one of my favorite places to visit. Down town and harbor is absolutely breathtaking. It’s good to know they have pet friendly cruises. You dog such a cutie. what bread is it ? 🙂 Thanks. 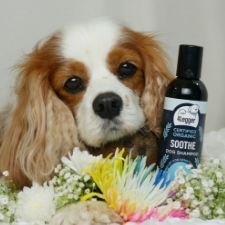 Dexter is a Cavalier King Charles Spaniel. He’s just very big for his breed. I had no idea you could do boat trips with your god how absolutely awesome is that, I’m not sure what my pooch would think of it though. I’ve never heard of this before but sounds like lot of fun not only for pooches but their humans as well. Definitely checking this out. Thank you. Thanks, Holly. It was a load of fun. Your dog just looks so chilled and relaxed. It clearly shows that nobody should even try and destroy his views plus I think spaniels are so adorable. hahaha Thanks. He loves sightseeing. 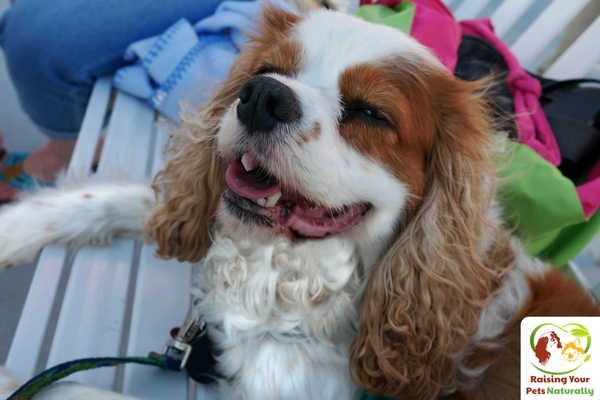 A few weeks ago it was national spoil your dog day – now dog friendly cruises. No wonder people talk about Americans and their dogs. My neph-doggie loves anything to do with water, I wonder if he would try to leap from the boat. You have such a precious dog! I only have two cats, and if I tried to take them on a cruise, they’d claw up my arm. LOL I don’t think my cats would enjoy the ride either. I don’t have a dog so it is unknown territory to me. I know some friends are struggling to find a place to leave their dog when they go on holiday but this would be perfect! Traveling with a dog is totally doable! Just a little research and you are off for a great time. omg, Dexter is adorable. What a great travel companion. I like to take my little dog with me as well and fortunately there are a lot of dog friendly places here in the Northwest. We even have ferries that the dogs are allowed on. Thank you. 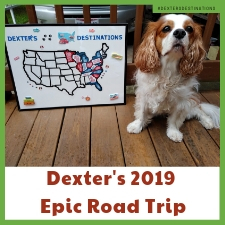 That’s great~ I love taking Dexter on his adventures. I haven’t been to Maryland since I got my little dog but it’s time that I turned that around. Maryland is a great place to vacation at. I haven’t been to Annapolis yet but it’s on my bucket list. Aw so fun. What a great partner to bring along with you on a cruise. 🙂 Now my turn, I’ d love to go on one, mini or long! 🙂 He really is the best travel partner. Never complains, goes with the flow. My dog has never been on vacation with us because we can never find a hotel willing to let him stay. So nice to see such pet-friendly places! Looks like he loves his ride! Oh, check out the Extended Stay America. We love that chain! I honestly didn’t know there are boat cruises that allow a pet. That is awesome that you get to enjoy the boat ride with your dog. He loves it! 🙂 Not all are dog-friendly, but this one was and so much fun! That’s great you got to take your dog with you. After all dogs are part of the family! 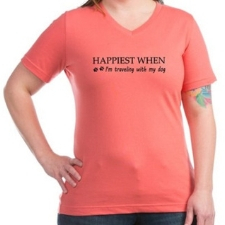 Your dog looks so happy on the trip. Such a big smile. That’s so cool that they have some pretty amazing trips that your pets can be included in. Thanks, David. Yes, Dexter is really a happy boy. We had so much fun in Maryland! I’ve never been on a cruise before. I’d love to go on one. That’s really cool that this one lets you take your pet. You should check one out. So much fun and relaxing. This article made me miss my dogs so much! They aren’t with us now because we are moving to Hawaii soon but we will ship them out to us once we get settled! I hope there are fun things to do with them in Hawaii once we get there! I’m so glad to hear you are taking them. 🙂 Have a wonderful live in Hawaii! This is a great article and perfect for us personally as we are semi-local to Annapolis. It’s such a beautiful and important town! Thanks, Megan! What a great town. I wish we lived closer to water to do things like this. Sadly we’re in the desert. 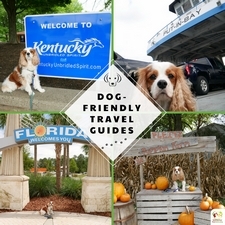 This is awesome information about the Watermark’s cruises that are dog friendly. It looks like Dexter had a blast on the cruise. I have never thought to take my dog on a cruise but it does sound fund for the whole family. Thanks for sharing the information and your experience.